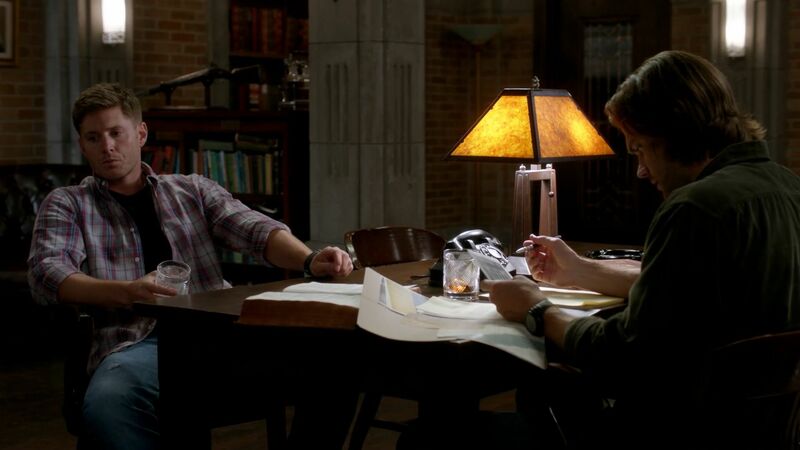 If the first two episodes of this season are any indication, Supernatural Season Nine could be re-titled Season Fine. I am already loving the feel of the show this year. The brothers are on the same page again, which is something I’ve missed for a while now. I know it can’t last, not with the secrets hanging over them, but for now I’ll bask in the glory of what can be achieved because of brotherly love. There were a multitude of characters this week, and a lot of great development concerning them all. It was an embarrassment of riches and I adored every minute of it. First up we had our favorite prophet, Kevin, who continues to survive in a world gone crazy. That poor kid is so messed up. He’s endured more trauma than most people three times his age, yet he still tries to keep going. The supposed death of his mother, Crowley’s repeated attempts to kidnap and torture him, the fact that he will never have a normal life… it’s enough to drive anyone a little crazy. Yet, he keeps going. When the boys need him to step up and be Fake!Bobby for a job, he does so in his own special way. We learned that he’s a force to be reckoned with when it comes to computer hacking and any secrets you think you have online are going to be at his immediate disposal. Be forewarned. And when Crowley tries to get inside his head, taunting that Mrs. Tran might not be as dead as he thinks, it does affect him a little, but not enough to break down and release Crowley in exchange. Even when he’s pushed, he tries to do the right thing. The glorious King of Hell, who I continue to love, came out of the trials a bit rough around the edges. We already see that he’s having flashbacks, a possible indication that some part of his humanity is still sticking around. How will that change him in the coming months? Will his demonic reign be cut short because he’s just not man enough for the job anymore? And how will he deal with Abaddon trying to take his throne in Hell? Well, he’s going to have to get out of the Winchesters’ dungeon before he can deal with any of that. But even through all that, it’s nice to see that what makes Crowley tick is still front and center. He’s all about give and take, using others to his advantage. Yes, he will slowly give up demon names, but he’s going to get something in return. And because we can’t fully trust him, nor discount him, we don’t know for sure if what he claims about Mrs. Tran is true or not. Is she still alive? We never saw a body, so it’s possible. And as long as there’s that possibility, Kevin will wait and wonder. So will I. But before Crowley regains his title as King of Hell, he’s going to fight for the right. The wonderfully evil Abaddon is back and she wants to be the Queen of Hell. What right does a nobody like Crowley have to rule Hell when she, a Knight of Hell, has more power and drive than any of them? I’m pleased to see that she will be having a larger role this season, since I really liked the character last year. When she was burned to a crisp, I feared that would be the end of her, but like all characters in this show, even the end doesn’t mean the end. Risen from the ashes, she’s come back to take what she believes is rightfully hers. She’s strong-willed and determined, two things that are going to make her a worthy opponent. The boys are going to have to work hard if they hope to defeat her. I just don’t want it to be too soon, since I’d like her to stick around for a while. As the boys prepare themselves to go up against Abaddon, Dean better keep on the look-out, since she’s taken a special interest in him and his body. Hey, anytime I can see the tattoo, I’m happy. And it’s not like Dean doesn’t have enough to deal with already. Between Abaddon and Crowley and fallen angels and wandering demons and keeping Ezekiel a secret from Sam, it’s enough to drive a man to drinking. Or at least some angry rants. Monsters he can deal with, but the whole situation with Ezekiel and keeping secrets from Sammy? You know that’s going to come out and it’s not going to be pretty. However, I hope Sam can forgive him for his choice. As the angel said, what Dean did, he did out of love. 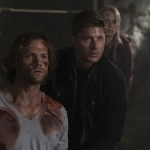 Whenever Sam’s in danger, when Sam’s been killed, Dean will sacrifice everything for his brother, often without thinking further ahead to the possible consequences. How much can we really trust Ezekiel? Dean’s constantly wondering that, and hoping that he made the right decision. I’m hoping so, too. And finally, what might be one of my favorite emerging characters, we have Ezekiel!Sam. I feel bad that Sam’s being kept in the dark about what’s going on with him, and the lies just keep building as Ezekiel and Dean try to keep him unaware, but it really is for his own good, right? 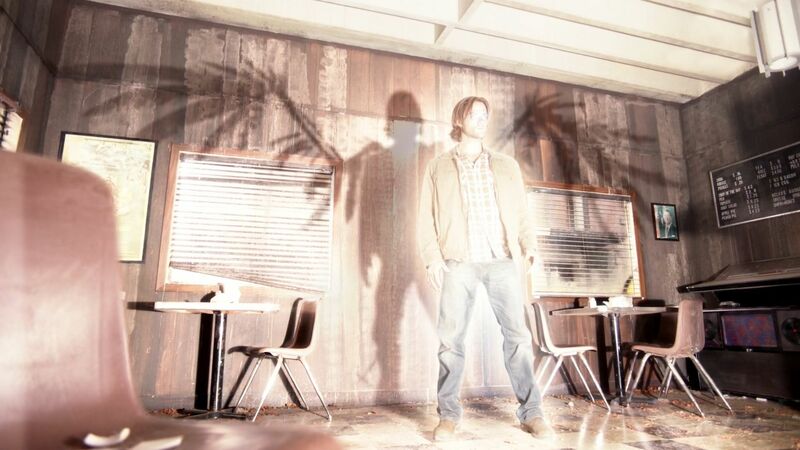 A choice between dead Sam and possessed-by-an-angel Sam is a no-brainer. But I am constantly suspicious of Ezekiel and his motives. While I want to give him the benefit of the doubt and say he’s only trying to help Sam, I can’t believe that based on what we’ve seen of the other angels. However, the acting and effects for Ezekiel!Sam are amazing. The scene where he spreads his skeletal wings, signifying how beaten-down and injured he is, a reflection of how badly Sam’s body is as well, was a sight to see. As was his ability to kill three demons with no trouble. If the angel can dash out that kind of power when he’s almost dead, imagine what he’ll be able to do when he’s at full strength. Or, perhaps fear that day. I’m very pleased to see that Sam, for the first time in forever, feels happy with his life. It’s been a long time coming. Now, can he sustain that happiness once he learns the truth of what Dean did? Will he keep Ezekiel within him, even after he learns of his ill-consented possession, or will he cast the angel out only to suffer from his lingering injuries? 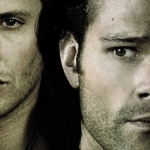 What is ahead for the Winchester brothers? We’ll have to wait to find out.